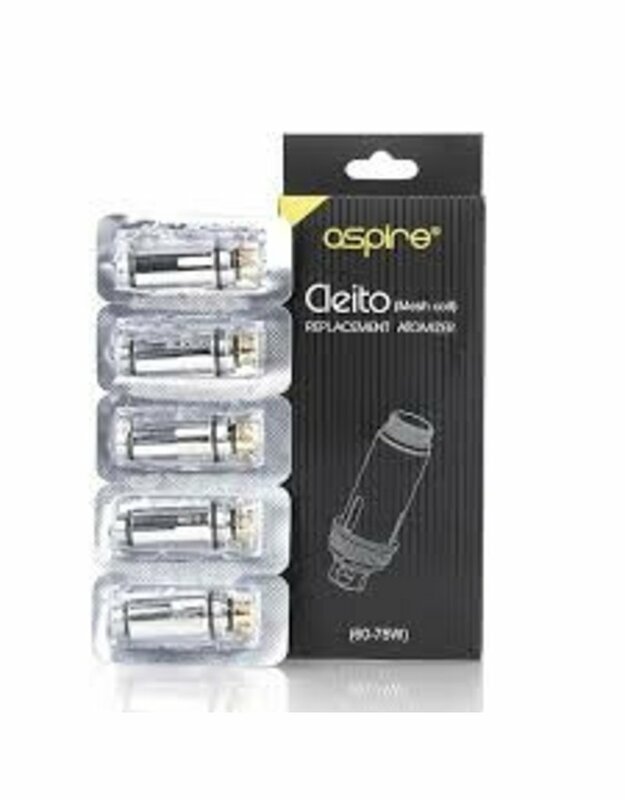 The Aspire Cleito Pro Mesh Coils are the newest and most flavorful coils from the Aspire team. The Pro Mesh Coils run at 0.15 ohms rated for 60-75w. The coils are made of Kanthal wire and organic Japanese cotton. 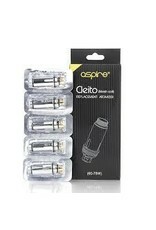 These coils are also compatible with the Cleito and Cleito EXO tanks. With Aspire’s signature design, the chimney of the coil creates massive airflow and without sacrificing taste. Each pack comes with 5 coils so you’ll have plenty of replacements to keep blowing tasty clouds for day.